What if you could merge the patch-ability of modulars with powerful digital DSP – not just circuits? The Percussa SSP is the latest entry to try just that. It was inevitable: modulars, at first resurrected precisely because they had simple circuitry and knobs in a predictable space, are starting to get computational powers. This isn’t just cramming a computer in a Eurorack. The Percussa uses embedded processing power, in the form of the increasingly ubiquitous ARM architecture – this is what makes your smartphone, your iPad, your Nintendo DS, your Raspberry Pi, and your Canon PowerShot all work. And that’s the brainpower – lots of open-ended number crunching, sound processing capability. The quad core engine, which will support Percussa’s own stuff as well as third-party C++ code (opening this up to a community), could run loads of effects or oscillators all on a single module, all in parallel. And it’ll run audio at high bit resolution and sample rate. Last week, I had a look at another take on the post-PC sound machine – and if that one looks like it was imagined by a guitarist, this one appears to have been envisioned by a lover of embedded computers and Eurorack. While there is some open-ended potential, that’s not to say that this is an empty canvas. There’s a lot of sound capabilities there already. Out of the box, you’ll get some instant capabilities – more depending on how much crowdfunding revenue comes in. 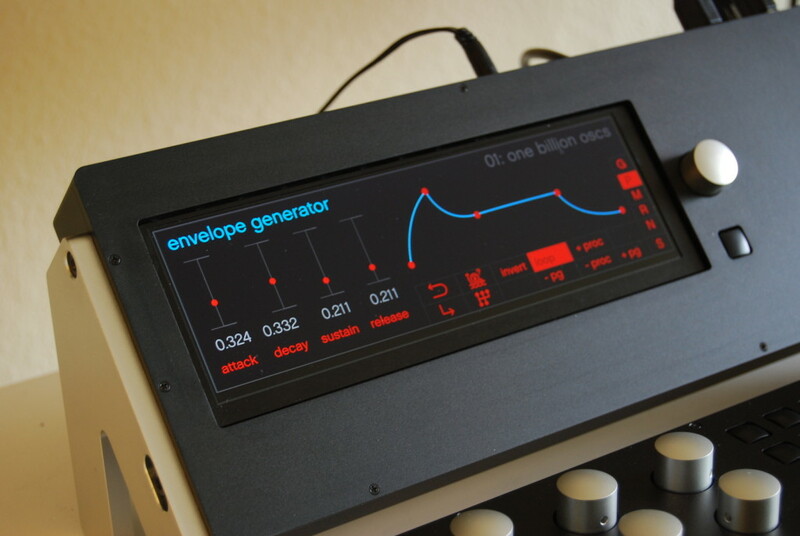 Percussa already has built working ‘modules’, including a 3D morphing wavetable oscillator, a sampler, an LFO for modulation, filters, a step sequencer, and building blocks for signal processing. Based on funding received, backers will get more modules free shipping with the hardware. If that’s not enough, other virtual modules could become available in time – including third-party ones. And the SSP is looking like a handy hub for a modular rig – and very possibly a replacement for a computer – thanks to SD card recording, loads of patchable I/O, and MIDI and USB (both a device port and a host port, so you can connect various USB gear). Now, of course, you might still wonder why you wouldn’t just use an iPad or a computer. But there is still a lot of patching possible here, meaning of course the idea is to mix this with other modules. 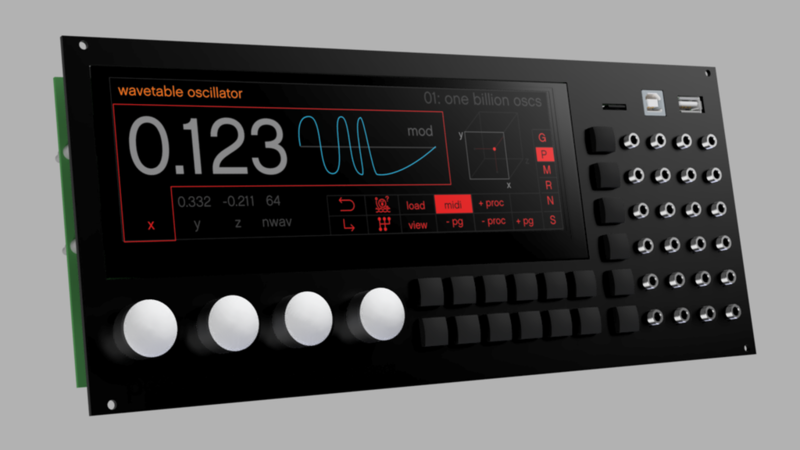 There’s loads of I/O – 16 inputs, 8 outputs, all high-quality, for elaborate processing of various audio signals in parallel. 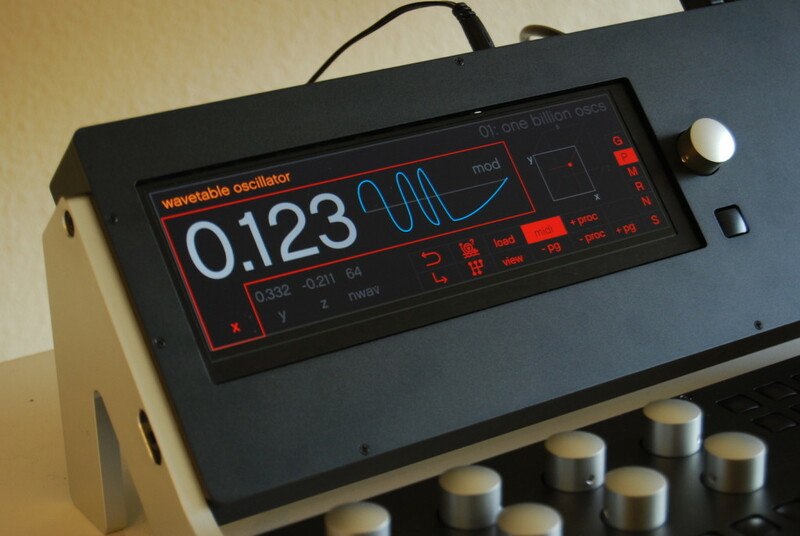 Stretch goals feature more – there’s already MPE (expressive polyphonic control of MIDI) as one feature. I do kind of hope they get to the 3D accelerated graphics. Percussa provided some images here. More details on their Kickstarter page. More details. The project doesn’t come cheap – you’re looking at around 1.5 grand – but looks like over a dozen users are ready to take the plunge, even sight unseen and unheard, in advance. And the payoff for that investment is an extraordinary amount of high-quality audio processing power, the likes of which could cost several times more in equivalent hardware systems.